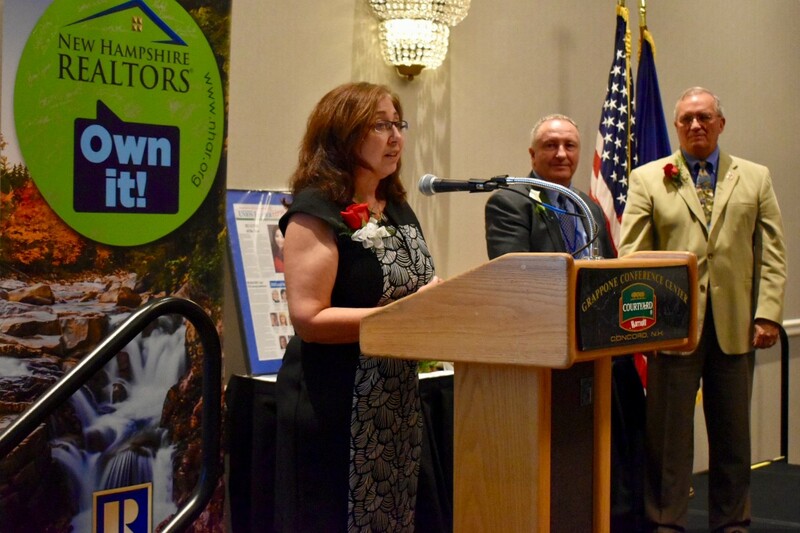 Diana Mancuso (pictured far left in photo at right), a Salem resident and Realtor with Keller Williams Metropolitan in Londonderry, was selected by the New Hampshire Association of Realtors as its 2018 Realtor of the Year, given annually for outstanding volunteer service to the real estate industry. The announcement was made during a Sept. 20 ceremony at the 57th annual NHAR conference, held at the Courtyard Marriott Grappone Conference Center in Concord. Realtor spirit: high principles of integrity, adherence to the Realtor Code of Ethics, and furtherance of the principles of good real estate practice among brokers, agents and the general public. Civic activity: Local, state and national level participation in civic and service clubs, charitable activities, political commissions, fraternal or religious groups. Business accomplishments: Public recognition of business conduct, service to clients, imaginative and creative advertising programs, rehabilitation work, land utilization, etc. Local board activity: Offices held and committee work, special assignments, seminar activity and educational work, membership and offices held in local chapters of Institutes, Societies and Councils. State association activity: Offices held and committee work, attendance and participation in state conventions, directors meetings and educational conferences. National association activity: National offices and committee work, membership and work in Institutes, Societies and Councils, attendance at national conventions and directors’ meetings. The state Realtor of the Year is announced at the annual conference each year and is presented with an engraved crystal award. In addition the recipient receives funds to assist with attending the National Association of REALTORS annual conference, where all state Realtors of the Year are recognized. All recipients are listed on a plaque displayed at the state association office.